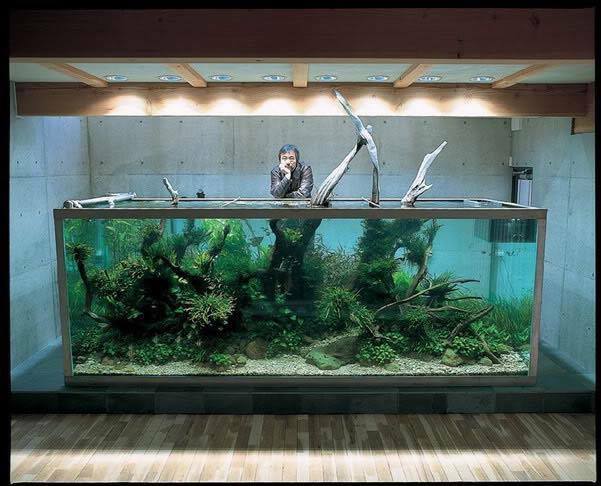 Yesterday, I learned of the passing of the world’s greatest aquascaper, Takashi Amano,(http://www.adana.co.jp/en/contents/takashiamano/). Like many of you reading this, I am in shock and stunned by the magnitude of this loss. He was an aesthetic guide, a spiritual father, and a purely inspirational human being for many aquarists like myself. When I think of Takashi Amano, I think of him first and foremost as a teacher. Judging by the ample documentation of his work in the form of books, videos, and magazine articles, I feel like it was his intention to leave us with the gift of his mentorship that will last the ages. 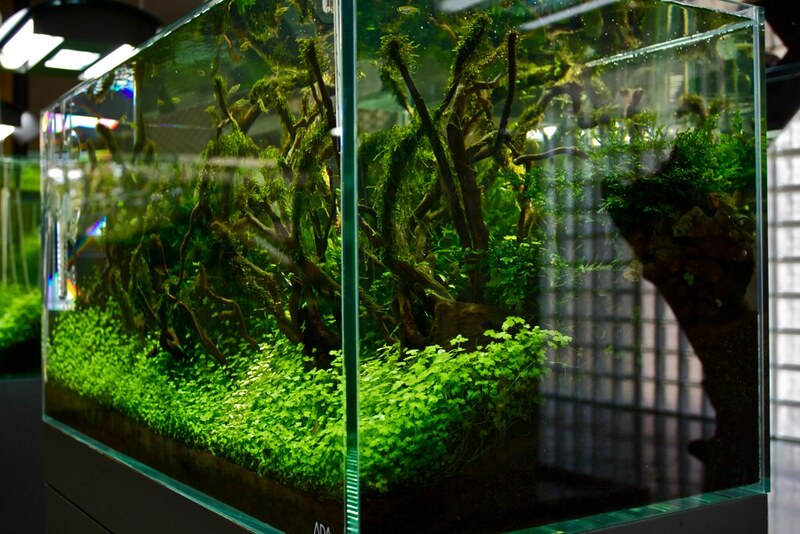 Mr. Amano’s living legacy is the Nature Aquarium style of aquascaping design that has revolutionized and reinvigorated the aquarium hobby over the last three decades and lives on in the aquariums of aquascapers around the world. 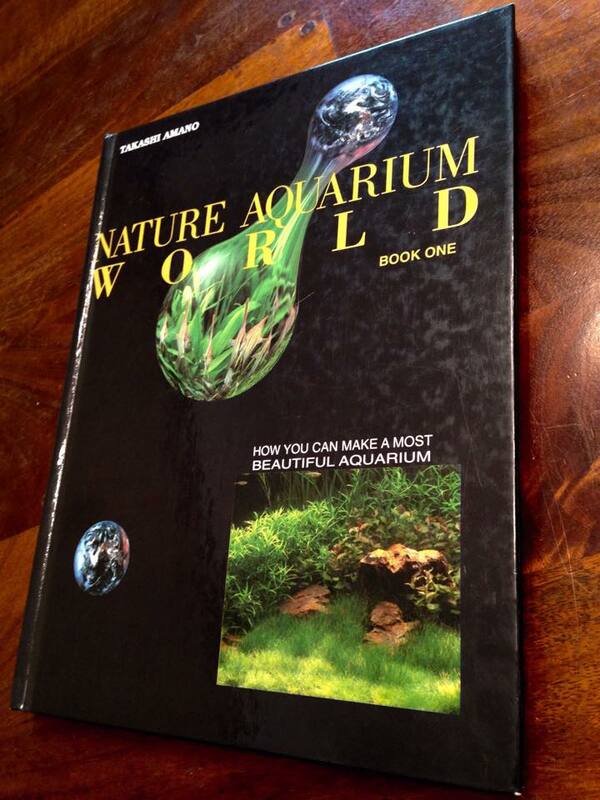 Steve Waldron’s well-worn, much-loved copy of Amano’s first book in the US, Nature Aquarium World. They are beautiful, loose and fun. Looking over them now, you can see the Nature Aquarium being born with playful expressions of pearling Riccia, dancing fishes, sensitive photography, and anecdotes from Amano’s travels and his childhood in Japan. 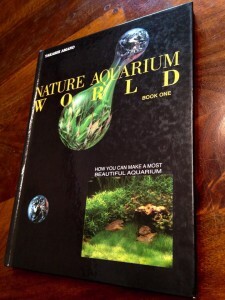 Nature Aquarium World 1, 2 and 3 are really joyful books, and after flipping through them again last night, I felt uplifted and yet again inspired by Amano’s teaching like I did the first time I read them. If you are mourning Amano’s loss, re-reading these books will help the healing process. There are numerous other publications, many in Japanese, such as the beautiful Aqua Journal magazine and the retrospective of all his major aquascapes, Glass no Naka no Daishizen, that detail Amano’s aquariums with rich photography. I invite every student of the Nature Aquarium to collect and learn from them all. Part of Mr. Amano’s living legacy is truly alive and on display for public viewing. Amano has large aquascaped installations throughout Japan, at his own Nature Aquarium Gallery in Niigata, and he recently installed the world’s largest Nature Aquarium, a 160-foot masterpiece at the Lisbon Oceanarium in Portugal. “Forests Underwater” was completed in April of this year; it has grown into a stunningly beautiful aquarium, an undertaking unlike any other. This aquarium was probably Amano’s greatest challenge and the achievement of a lifetime. You can read more about Amano’s challenges with creating “Forests Underwater” and see some great video here: http://www.adana.co.jp/en/lisbon/. Beyond being a master aquarist, Takashi Amano was a master environmental photographer, and we can see how studying some of the great landscapes of the world inspired his Nature Aquarium design. Nature photography and Nature Aquarium design were the inseparable parts of Amano’s artistic whole. Mr. Amano was interested in documenting some of the world’s most biologically diverse and primeval places, such at the Amazon basin, Borneo, West Africa, and wild Japan. Amano’s photography is a vision of pristine nature. He has achieved recognition for his large-format photography of the natural world, and an exhibition of his work is slated for this September in Japan (http://amanotakashi.jp/DL/origin_of_creation.pdf). I bring up Amano’s nature photography not only because of its artistry and power but also because it provides a window into why I think Amano was so focused on aquariums and aquascaping. The aquarium, when executed in the hands of someone with the sensitivity of Takashi Amano, becomes a kind of Eden, a perfected slice of nature that provides a sense of peace and possibility in a modern world where natural balance and harmony are rapidly being lost. The Nature Aquarium is a hand-crafted utopia. All great artists lead the world towards Utopian possibilities, and we experience that perfect beauty, if only for the duration of a song, the view of a fantastic painting, or the tranquil experience of sitting near a natural aquarium flowing with pristine water, sparkling fish and verdant groves of swaying plants. Great art can inspire us to do great things and to see the world in a new light. Takashi Amano has taken his place in that vast pantheon of creative spirits that have gifted us a vision of our world as one with the potential of becoming an Eden of our own design and making. “Humans, the newcomers on this four-billion-year-old planet, now have the power to destroy nature. The once-clear water is muddied, and the once-green land is losing its color. In trying to make their lives rich, people have made us all incredibly poorer from the destruction of nature. Only desolate hearts can grow from desolate surroundings. We have to remember that we either live in nature or not at all.